Unleash your inner bombshell. 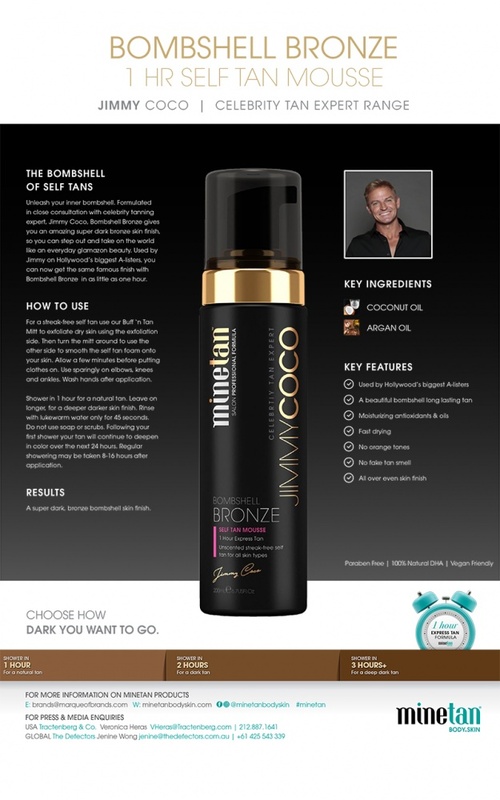 Formulated in close consultation with celebrity tanning expert, Jimmy Coco, Bombshell Bronze gives you an amazing super dark bronze skin finish, so you can step out and take on the world like an everyday glamazon beauty. 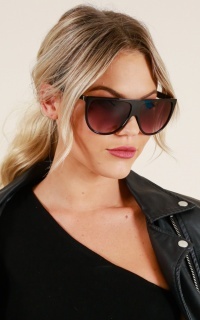 Used by Jimmy on Hollywood’s biggest A-listers and supermodels, you can now get the same famous finish with Bombshell Bronze in as little as one hour. 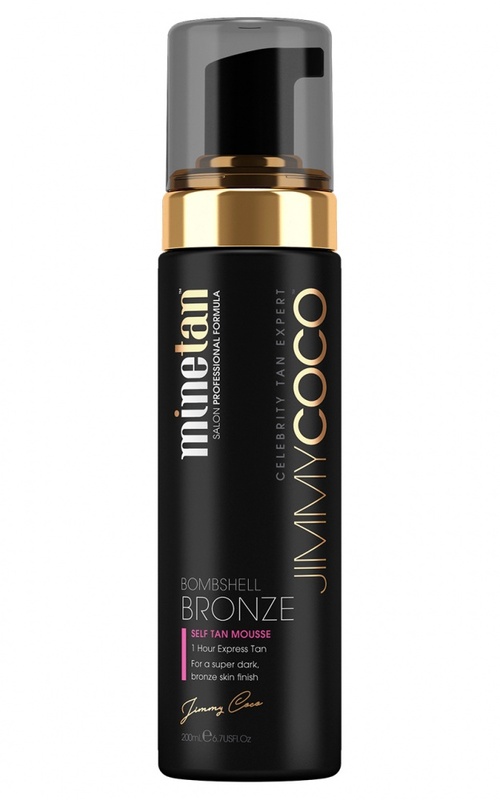 Bombshell Bronze Self Tan Mousse is for all skin types wanting a super dark, bronze bombshell skin finish. 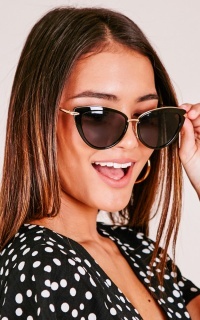 Bombshell Bronze contains a mix of dark brown bronzers and moisturizing oils to give you a bronzed, glamazon skin finish. Rinse in lukewarm water after 1-3+ hours.